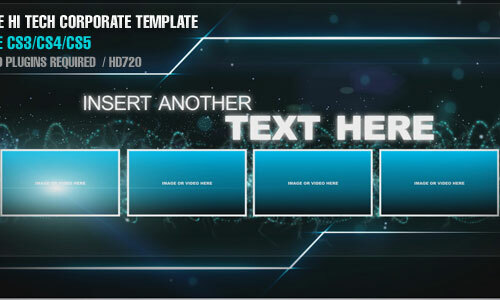 Previously, various types of After Effects Templates have been posted here with varied themes and types. Today, another wide-variety of templates are showcased to give designers out there some new ideas in presenting their unique creations. 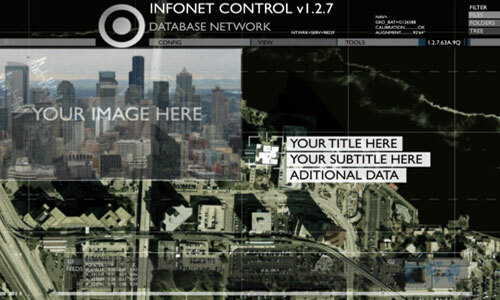 This next collection compiles some After Effects templates with futuristic themes. 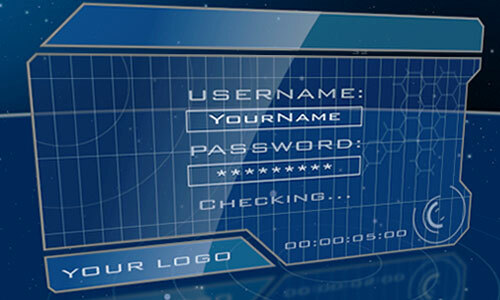 The designs and features that are given in all of these templates are advanced and modernized. 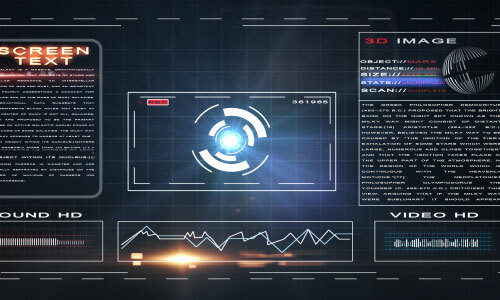 Read through the amazing list that we have belong and check out this 30 After Effects Futuristic Templates from VideoHive that you may want to avail. As a designer, it is a big advantage to learn and master this application. 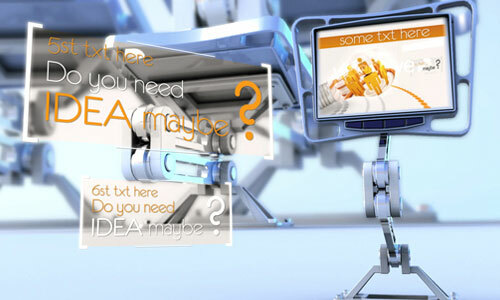 But if you want ready-to-use templates, why not use a professional after effects that are ready-made? All you need to do is add the text or video that you desire and you’re good to go. Time is gold and these templates will save you a lot of it. Enjoy! • Render to 1080 or 720 in 25fps or 29.97fps. • Pre-rendered 3D ball + particles provided. • Customize colors, text, image, video with ease. • Project is clean and easy to use. 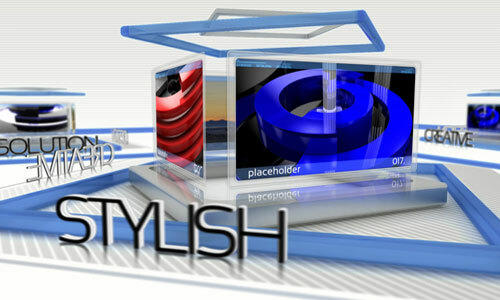 • Wide range of use – Project is designed on Aftereffects CS3. • compatible with AE CS4 & CS5. • Optical Flares, Trapcode Particle, Trapcode Form required. • Very easy to edit and understand. • intro, Lower thirds and Final. • Resolution FULL HD 1920×1080. • Plug ins are AE compatibile. • 1920×1080 FULL HD resolution. • Plugins are AE compatibile. • Futurama is a AE CS3 Project file prepared in 1280×720 HD. 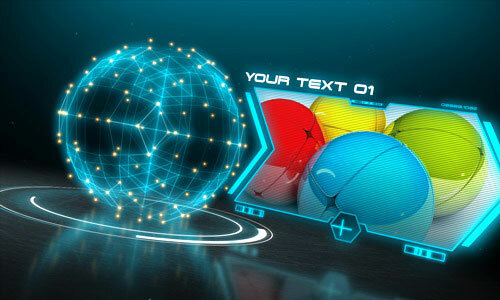 • 12 Futuristic techy graphics all animated and ready to use. • A Audio Spectrum effect layer. • Frame Rate (29.97) frames per second. • including Help File (PDF) shown. • 5 Places for your videos. • flares comes from Videocopilot’s Optical flares. 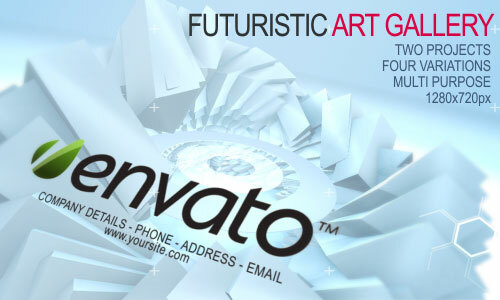 • useful for business showcase with cool futuristic design. • No 3rd party plugins are required. • Advanced users can adjust the project to their needs, include or exclude some elements etc. • You can replace the placeholders with pictures or videos. • After Effects CS4 Project File. • Contains 5 media files (images or videos). • Render ready in five resolutions (1280×720, 1024×576, 960×540, 720×480, 640×360). • HDV (1280×720) , 29.97 fps. • Duration : 48 secs. • NO 3rd-party plugins required. 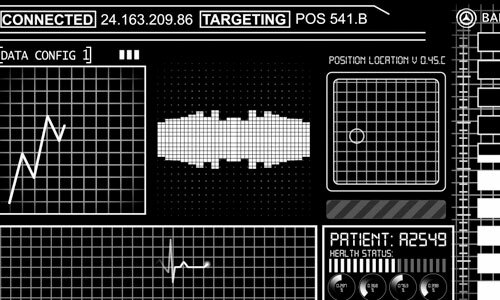 • A great pack with 20 completely editable HUD “gadgets”. • Each gadget is its own composition. • No plugins are required. 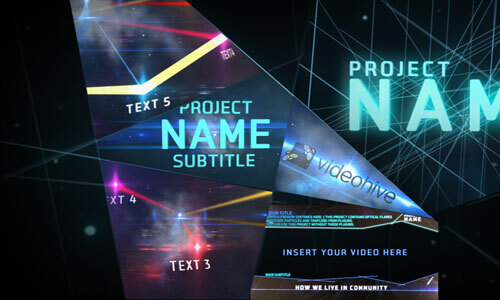 • The graph grid, hexagons, and dot backgrounds are also included and were made in AfterEffects. • All plugins are AE integrated. 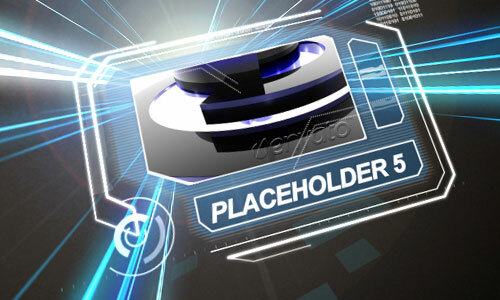 • 6 placeholder and Begin, End screen in fast electronic style. • It doesn’t required any 3rd-party plugins. • Duration : 40 sec. • 2 projects with two variations each. 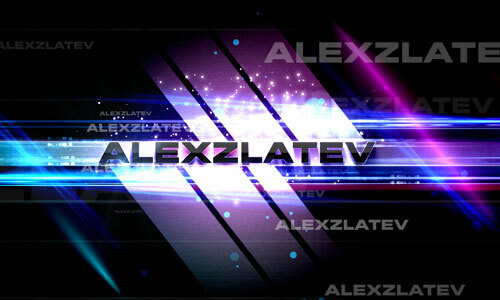 • Designed on AE CS3 1280×720. • compatible with CS4 and CS5. 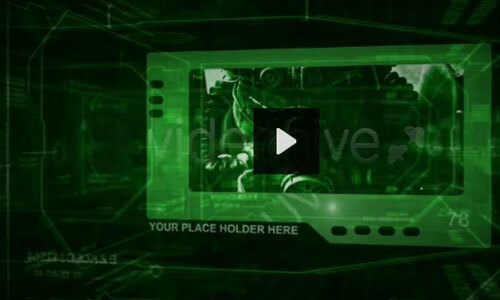 • Video Help File included – 1280×720px with detailed instruction. 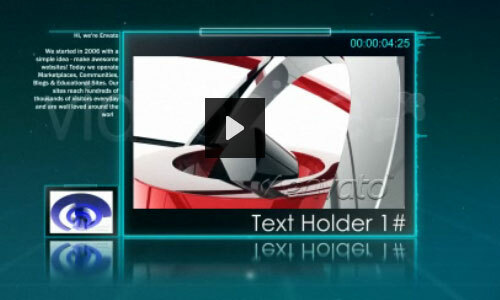 • 9 text places on video displays. 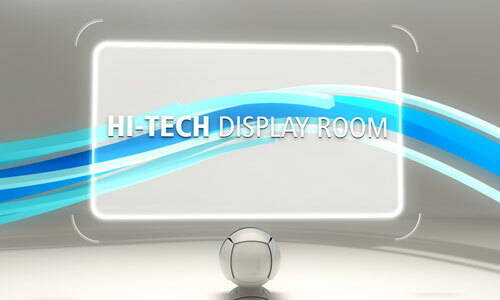 • Native resolution is H720. • Project runs for 1min15 sec. • Project file : AE CS3 project & Well documented User guide. 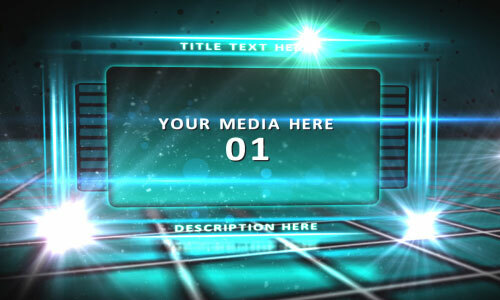 • Extras : Videohive Watermark to replace. 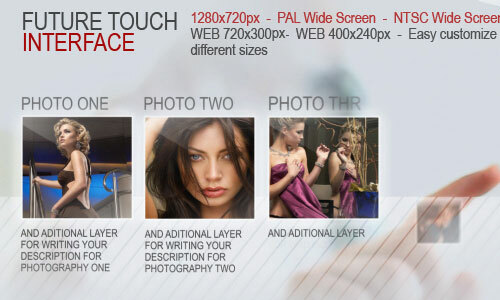 • Resolution – HDTV 720 (1280px X 720px). • Illustrated User Guide included. 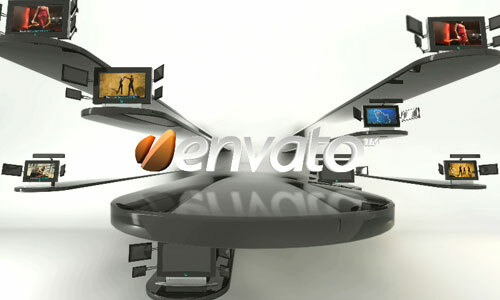 • 35 text places on video displays. • Videos in preview are not included. • 20 places for your txt. • Presentation for Architecture, Business, Corporate, 3D Portfolio. 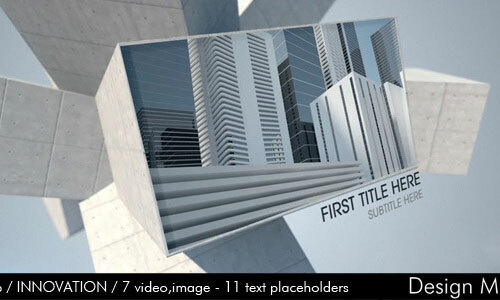 • 7 video or image placeholder + 11 text placeholders + 1 logo placeholder. 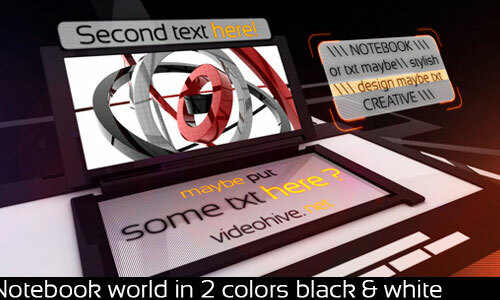 • The 3D Element made with AlphaChannel, so you can pick your own background color. • Fully customizable,easy to use (No pre-renders). • 10 videoholders with 5 different scenes. 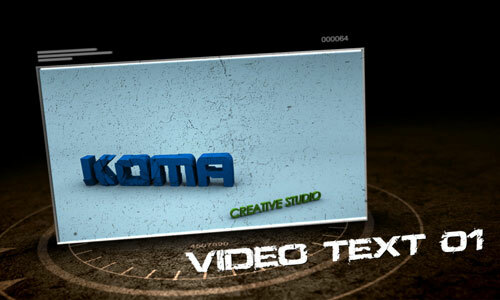 • After effects – Cs4 project . 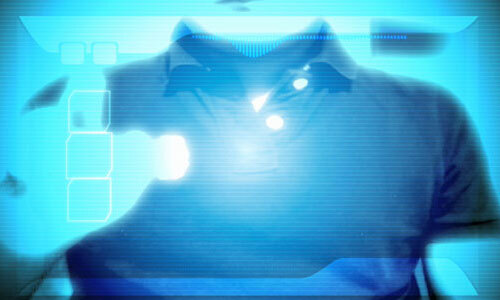 • plug-in used Trapcode particular2. • 1 project with full control over effects. 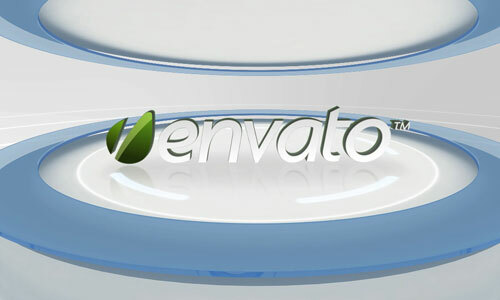 • Adobe After Effects CS4 project file in Full HD (1920×1080). • No plug ins required . • Made completely in After Effects with a few elements in Illustrator. • After Effects Version: CS3, CS4. 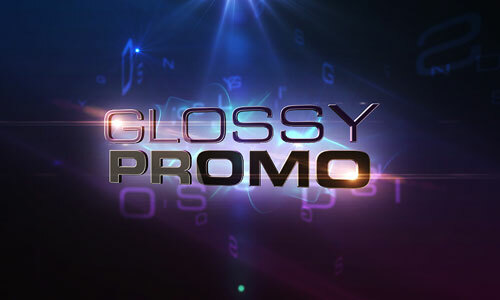 • After Effects Version: CS3, CS4, CS5. 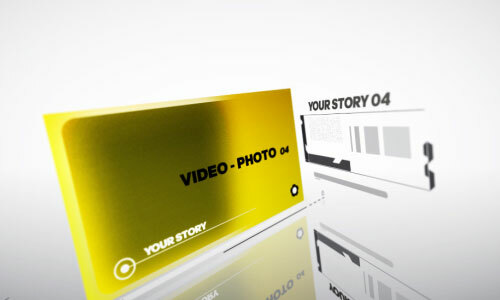 • 11 Places for your videos, and over 15 for your text. • The flares comes from Videocopilot’s Optical flares. • After Effects Version: CS3. Beautiful collection of templates, These are very fresh n unique! Whoa! Amazing templates! I’ll pick some! I’m still at the verge of learning AAE CS4… these templates are just awesome!